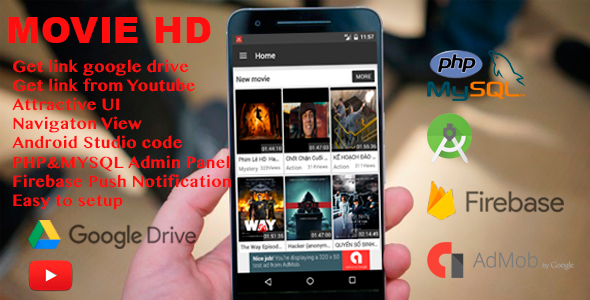 MovieHD is new application that offers great collection of Watching movie using Google Drive and Youtube as storage service for your android device. Are You thinking about to make watching movie application that use google drive as a storage service, this is your choice. Beside, You can make Application of Your favorite Video from Youtube server. Admin side adds the category and its items and Viewer View thats. Documentation in detail for both. Video Loaded based on Your Network Prefrence for Youtube video. Unlimited Category and its Item.